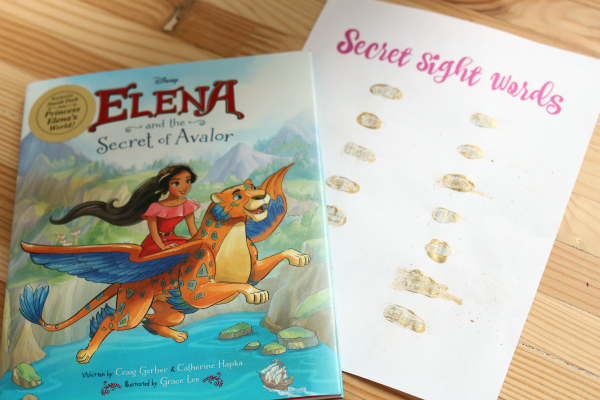 Elena and The Secret of Avalor was released earlier this month, and Disney Books asked me to think of a fun activity to go with this book and the amazing Elena of Avalor. 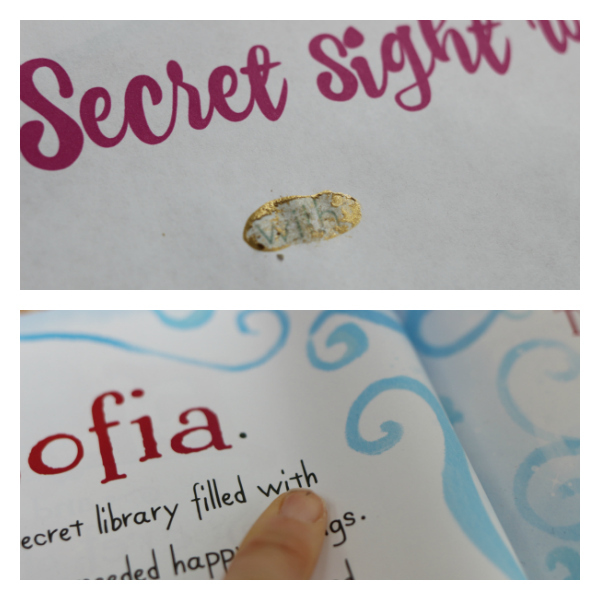 Immediately, I thought I would incorporate sight words since the target age for reading this book is kindergarten through 2nd grade, prime time for working on those sight words! 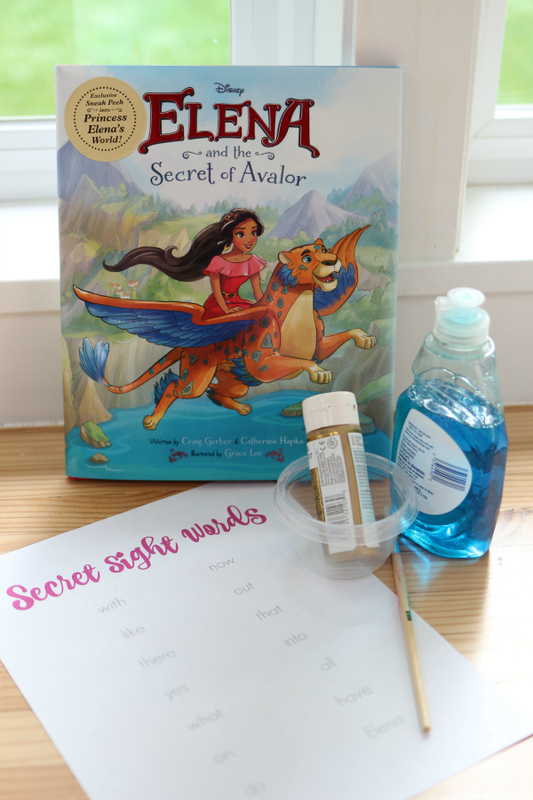 For this post sponsored by Disney Books I have created a custom printable with sight words straight from the book Elena and the Secret of Avalor and then added scratch off paint – it’s a little messy, but seriously this is such a fun way to work on sight words! The fable which has no set time period includes major influences of Latin and Hispanic cultures. 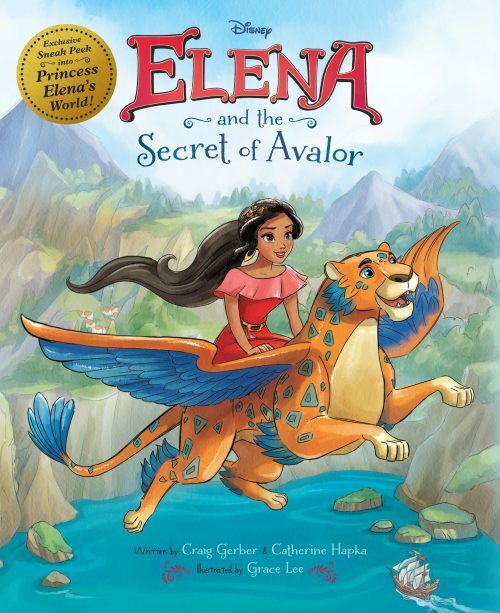 It introduces Elena as a brave and adventurous teenager who saves her kingdom from an evil sorceress and must now learn to rule as crown princess until she is old enough to be queen. Elena’s journey will lead her to understand that her new role requires thoughtfulness, resilience and compassion, the traits of all truly great leaders. 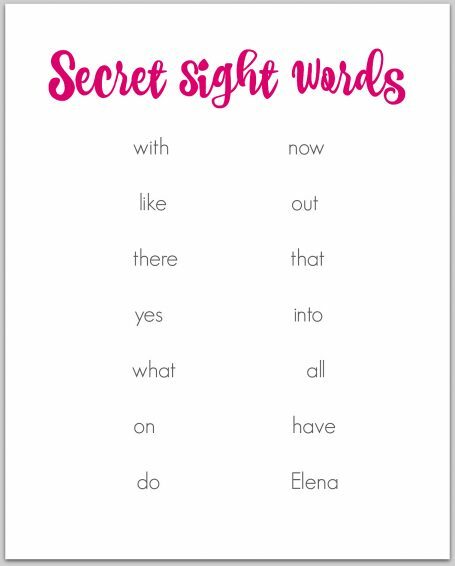 Elena is a wonderful role model and what I like about her is she isn’t portrayed as perfectly perfect, she comes across as human and readers can relate to that. 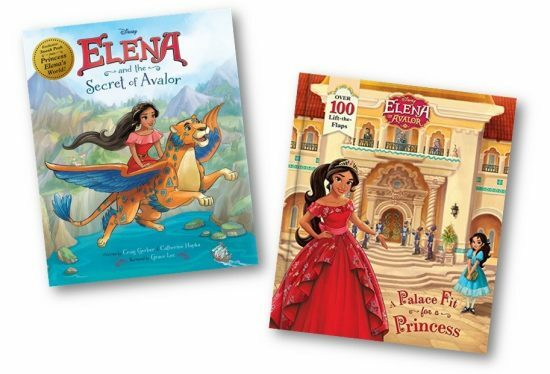 Lucky for you Disney Publishing is providing one two-book set of Elena of Avalor books for one lucky reader. Check out the details after the sight word activity. Gather your materials. 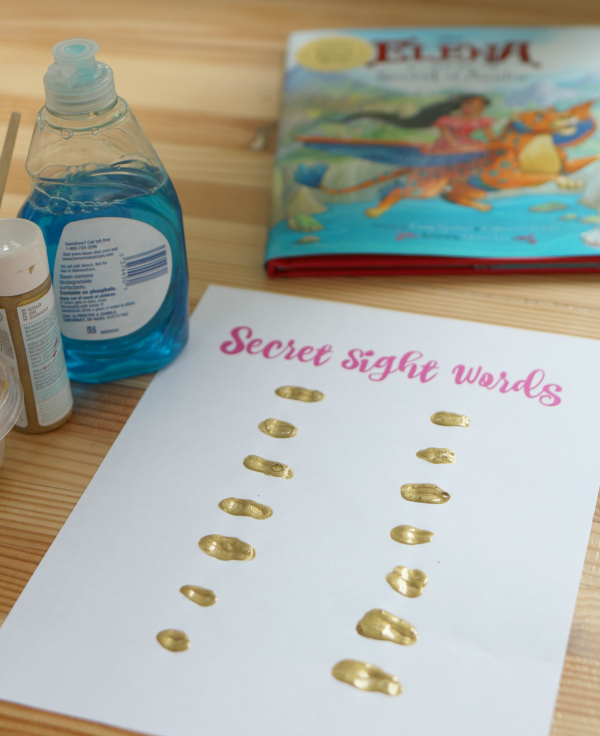 You will need this printable, some metallic paint, dish soap, a paint brush, dish, and of course the book. Print the printable here. 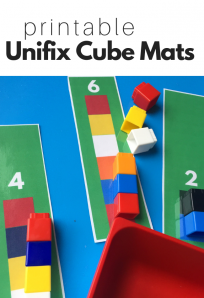 I used Primer ( Kindergarten) sight words for this activity even though my daughter is now in first grade because it’s a fun way to review. 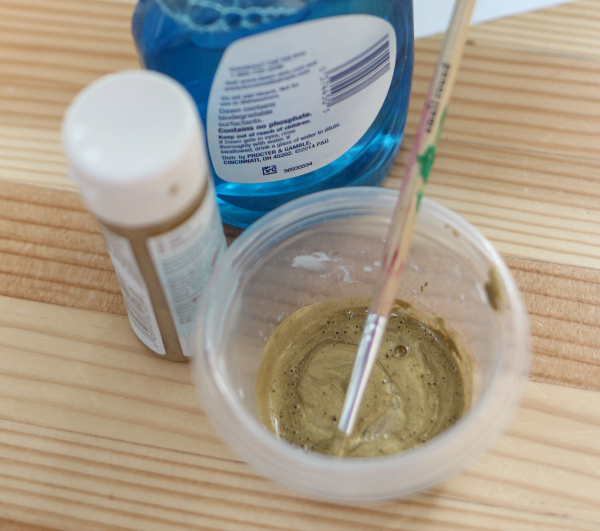 Mix 2 parts paint to one part dish soap. Mix it all really well. Paint over the sight words. 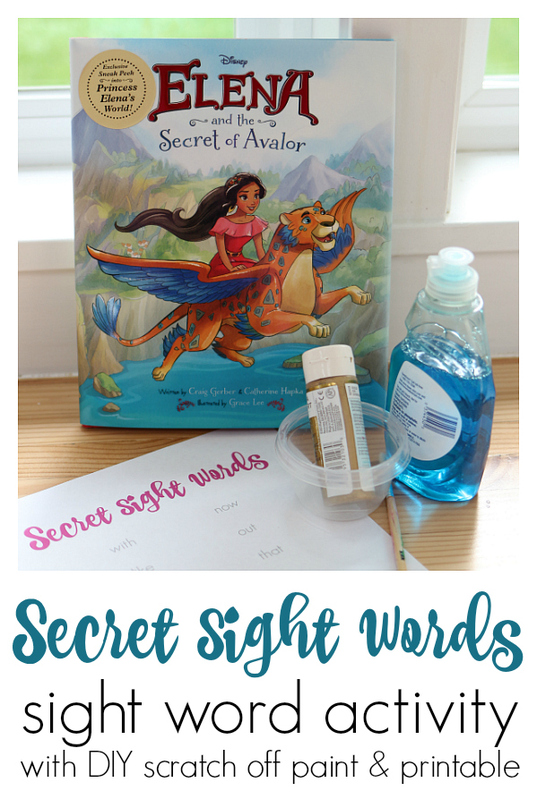 When you are ready to do the sight word activity, sit down with your child and have them scratch off a word. Going down the left column first, then the right. 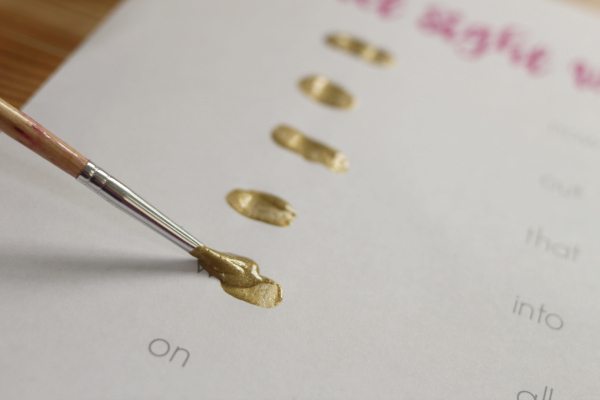 The words are in order so once the child finds the word they scratched off, the next will follow. You can do the whole list or a few a night, just know that they are in order. Scratch it off…Find the word. Keep going until it’s all done! 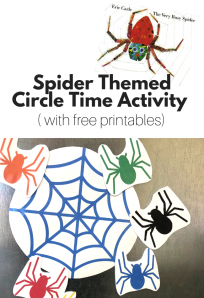 We had so much fun but I will say that the scratch off paint makes a wee bit of a mess so you might not want to try this for bedtime reading. This sweepstakes is open to American residents 18 years or older. To be eligible for the sweepstakes you must leave a comment on this post answering who is your favorite princess. One winning commenter will be drawn at random, using Random.org, after the sweepstakes close on Sunday, November 6th at 8:00 pm PST. 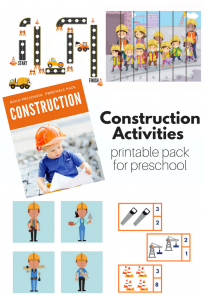 The winner will receive the prize pack listed, valued at approximately $35. After the winner is notified, he or she has 72 hours to respond with their mailing address or another winner will be chosen at random. No purchase necessary.The number of eligible entries received determines the odds of winning. Any information gathered through the sweepstakes including email, and postal addresses will not be used in any way other than contacting winners and shipment of winnings. VOID WHERE PROHIBITED BY LAW. Rapunzel, though Elena is very popular with my daughter and niece right now! Rapunzel is her favorite princess but she is loving Elena right now. I have recently heard about the new princess. My Kinders think she is pretty amazing. I am a huge fan of Tangled and if I’m being honest I sing Let it Go with my students. At our house we have two favourites – Lily likes Cinderella best, while big sister Maia is looking forward to soon-to-be released Moana. We love Elena – my daughter was Elena for Halloween. I’m glad my daughter enjoys watching Elena, as she is a strong princess! In our house though, any princess is OK!